Lots to be found here! My wife & I walked the shoreline from the nuclear plant to Dead River. Probably about 4.5-5 hours. 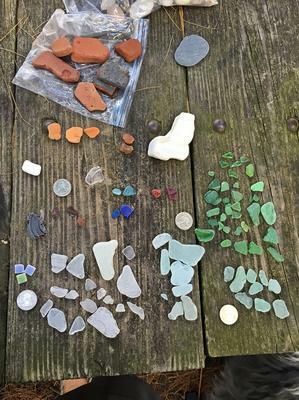 We found 85 pieces of glass including 2 red, 2 cobalt, a bunch of green & clear and 3 small mosaic tiles. Not a lot of brown. We also found a chunk of porcelain and lots of terra cotta. 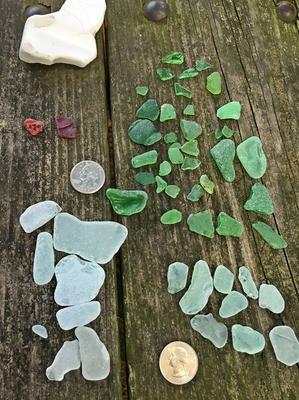 Our personal best one day haul. Illinois Beach State Park, Illinois, USA by Zion, Illinois On a beautiful day and very calm lake conditions (Lake Michigan was like glass) we found very little. 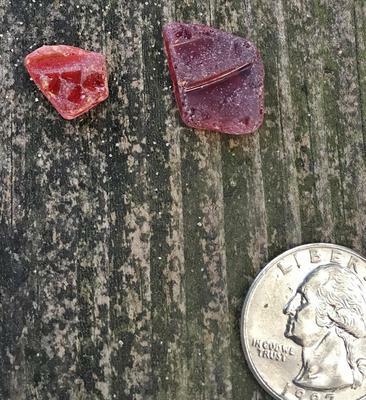 Spent about 30 minutes, and between the two of us we found 5 very small pieces (half the size of a dime). 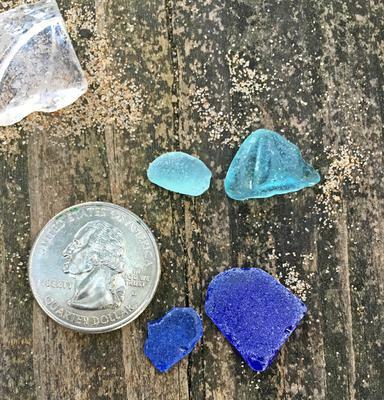 If you're looking for jewelry grade this beach doesn't seem to have that size.